Candlelight color, floor-length, empire waist, sheath style gown of Schiffli lace and organza with flower motif. 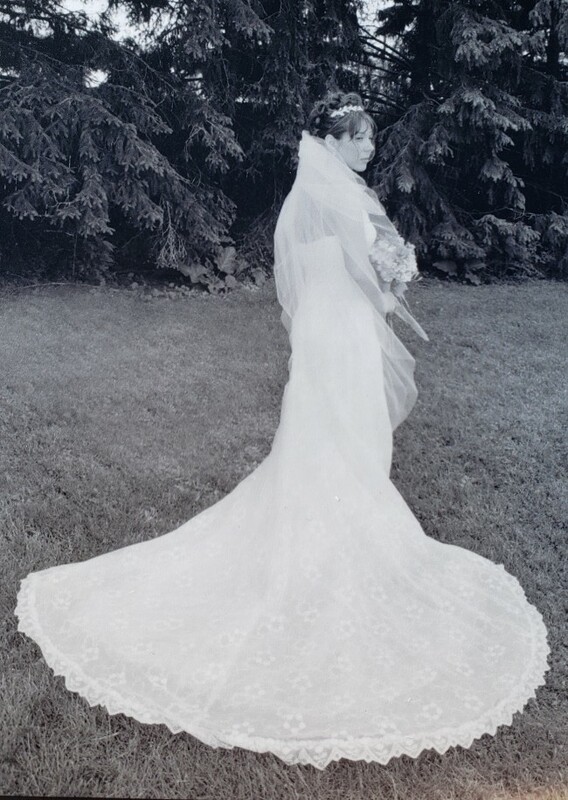 The gown has a ruched bodice with a curved neckline and thin shoulder straps, a tulle skirt (that can be bustled for reception), and a chapel length train. Veil is candlelight, multilayered, and cathedral length with cut edge ivory. Dress and veil were dry cleaned and have been preserved. The seal has not been broken. Straps shortened, waist taken in slightly, and side zipper altered on dress.